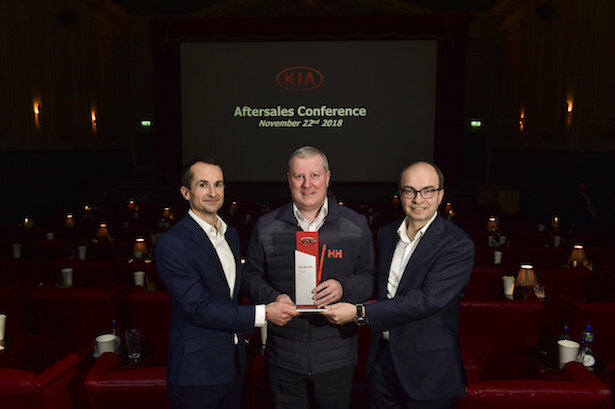 Kia Motors Ireland held its annual Aftersales Dealer Conference in the Stella Theatre Dublin on Thursday, November 22nd. Three Aftersales Dealer of the Year Awards were presented on the day. The award for the highest customer satisfaction in 2018 went to Lawton & Foley Motors in Edenderry, Co. Offaly. 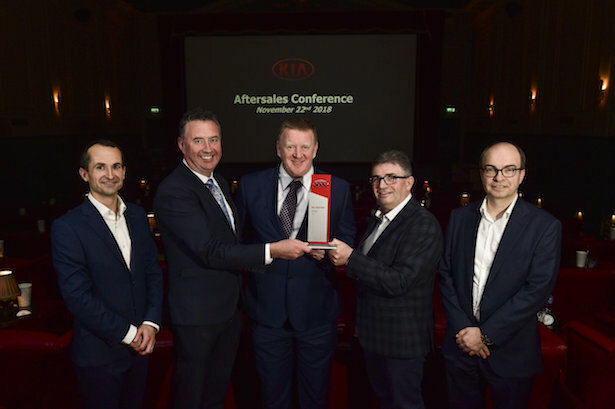 The award for the most Care-3 service plans sold went to McElligotts Kia in Tralee and the Award for the overall Aftersales Dealer of the Year went to Wexford Car Centre. 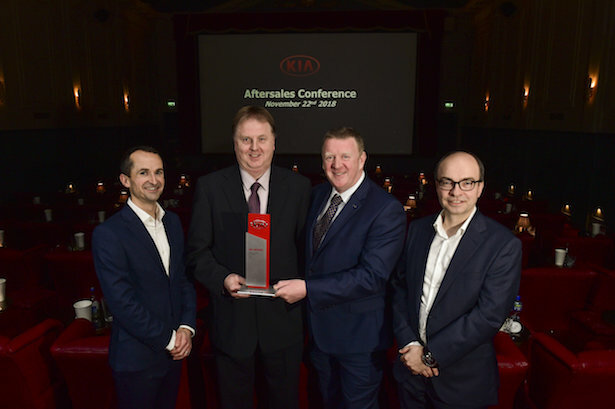 Care-3 Dealer of the Year – McElligotts Kia (L-R) David O’Connor, Head of Aftersales, Kia Motors Ireland, Brian O’Connor, Service Manager, McElligotts Kia, Hans-Juergen Gehrke, Kia Motors Europe. Customer Satisfaction Dealer of the Year – Lawton & Foley Motors (L-R) David O’Connor, Head of Aftersales, Kia Motors Ireland, Gay Lawton, Dealer Principal, Lawton & Foley Motors, James Brooks, Managing Director Kia Motors Ireland, Pat McNamee, Service Manager, Lawton & Foley Motors, Hans-Juergen Gehrke, Kia Motors Europe. Overall Dealer of the Year – Wexford Car Centre (L-R) David O’Connor, Head of Aftersales, Kia Motors Ireland, Eamon Gregg, Service Manager, Wexford Car Centre, James Brooks, Managing Director, Kia Motors Ireland, Hans-Juergen Gehrke, Kia Motors Europe.